3D Maxima Large Metal Football Cups. 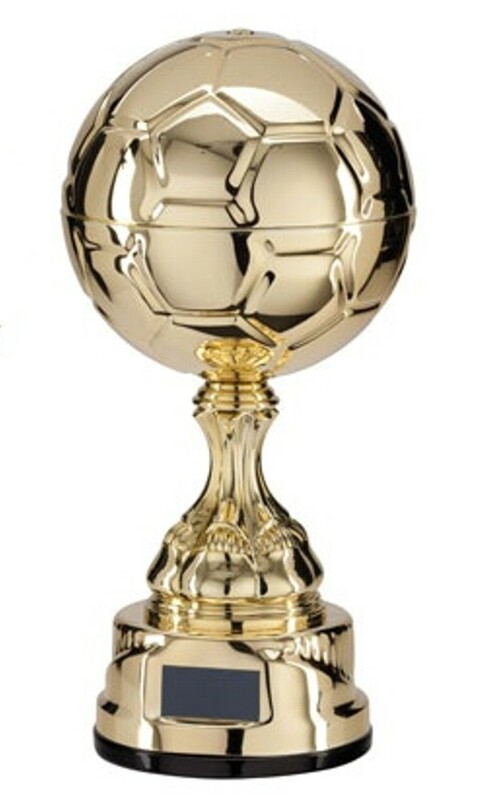 Available in 3 sizes, 335mm, 370mm and 420mm high gold in colour, excellent football ball trophies. Gold metal cup on a plastic riser. Free engraved plate included with your requirements.